Harry and Jamie know that their new home is cursed by an evil gnome. And the gnome has a whole army of nasty creatures he’s using to frighten them off. But now the gnome has sent a horde of sinister swooping bats to kidnap their friend Milly. EEEK! 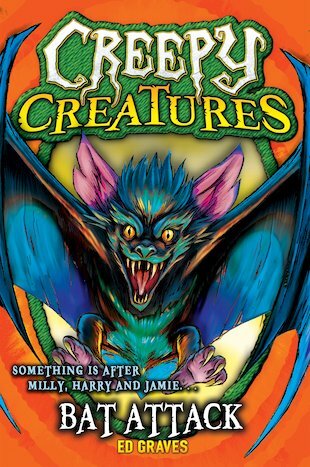 Can the boys rescue Milly from the beastly bats? It’s their toughest battle yet… Join them as they take up the fight against more hideous critters in this monstrously spooky series from the creators of Beast Quest!